How do you know if you have too much debt? Credit is a great way to get what you need when you need it, but many Americans are finding that credit can get out of control rather quickly. Just look at the amount of advertising for refinancing, consolidation, credit counseling and credit cards. You may not have any problem paying on your debts right now, but that doesn’t mean that you don’t have a credit problem. Betty and John didn’t see it coming either. They lived as they liked, had several credit cards, two auto loans and a small mortgage that they were prepaying. They were able to make extra payments on all of their debts and thought they were doing well. If there was something they wanted, they just charged it and paid for it later. Then Betty found that she was no longer able to work. A total surprise, they didn’t realize how much the second income really mattered until the monthly bills started coming in. Suddenly, they found themselves unable to pay their bills. John and Betty were better off than most. They budgeted and used their savings to pay off all of their revolving debt in one year. Today, they are on the road to being completely debt free in less than a decade. There are many Americans out there that are in worse shape before they realize that there is a problem. How do you know if you are facing a financial disaster due to debt? If you answer no to one or more of these questions, you may be at the beginning of a potential debt disaster. Do you make more than the minimum payments on your credit cards? Do you reserve your credit cards for emergencies only? 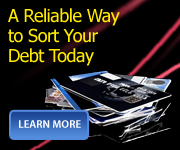 Do you have plenty of income to pay off your debts? Do you only have one credit card? Does your credit card balance go down drastically every month? If you answer yes to one or more of the following questions, you may already be in serious financial trouble. Are you at or near your credit limit on your credit cards? Do you write checks with the hope that they won’t clear until you can deposit something? 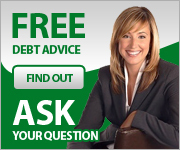 Do you know how much you owe towards all of your debt? Do you pay bills with your credit cards? Have you been declined when trying to make a purchase? Do you avoid calls from collectors? Do you lie to those around you about your spending or debt situation? The first step to changing your financial situation is to realize that you have a problem with spending andor debt. Once you know what the problem is, you can make a plan to fix it. Changing your financial situation isn’t easy. It takes persistence, patience and a lot of hard work and decisions. There are companies out there that promise to fix everything for you quickly and easily, but they can’t. The only way to change your financial future is to turn your finances around and work at it. If you are motivated, committed and honest with yourself, it doesn’t matter how deep you are in debt, you will find your way out.